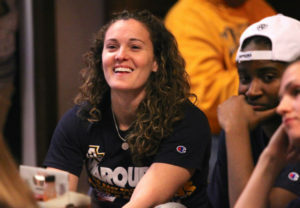 Carolyn Kieger – Photo Courtesy of Marquette Athletics. After five seasons at Marquette, Carolyn Kieger is leaving the school to take the head coaching job at Penn State. Kieger was 99-64 in her five seasons at the school, helping the Golden Eagles win the Big East regular season title this past season. 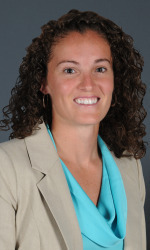 Kieger was the 2018 Big East co-coach of the year. Marquette won the Big East tournament title in the 2016′-17 season, shared the league title in 2017-’18. 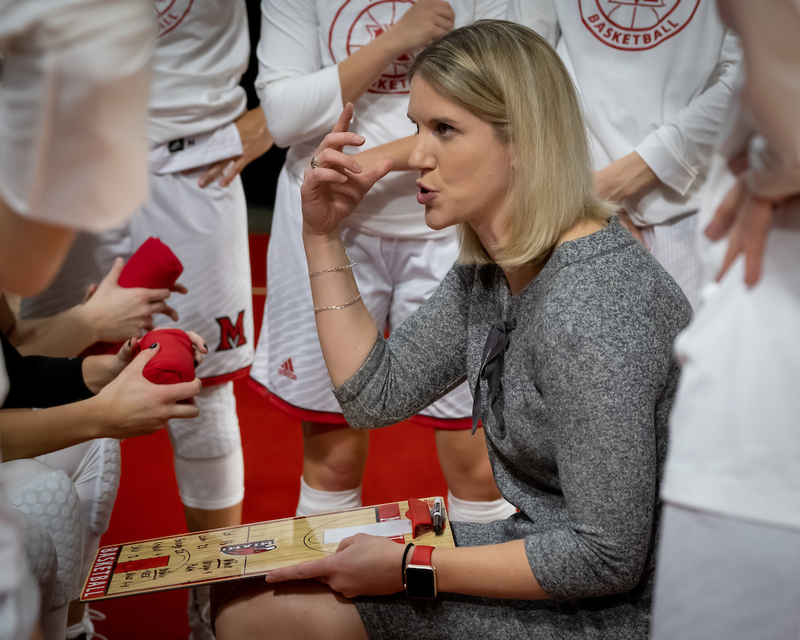 After leading her team to the Big East Tournament title and the NCAA Tournament, Carolyn Kieger was rewarded with a three-year contract extension. The number-five seeding in the NCAA Tournament, was the highest seeding in Marquette’s 10 appearances all-time. The extension means Kieger is under contract through the 2022-’23 season. Financial details of the extension were not made available. After a 9-22 record in Kieger’s first season, she started the roster rebuild. With the youngest team in the country the following season, the Golden Eagles finished 14-16 with a 9-9 Big East mark and featured the Big East Rookie of the Year in Allazia Blockton. Last season, Marquette finished third in the Big East regular season at 13-5. The Golden Eagles hosted the Big East Tournament at the Al McGuire Center and won that event. Marquette’s season ended in the opening round of the NCAA Tournament, falling to Quinnipiac 68-65 and finishing 25-8. The Marquette women’s basketball team drew the fifth seed in the Stockton Regional and will open NCAA Tournament play on Saturday at 12:30 p.m. (ESPN2) in Coral Gables, Florida against Quinnipiac. The fifth seed is the highest in program history, after going 9-1 in the last 10 games. The Golden Eagles (25-7) put together a number of signature wins, beating Oregon State on their home floor, knocking off DePaul three times, finishing 6-0 against top 25 teams and winning the Big East Tournament title. 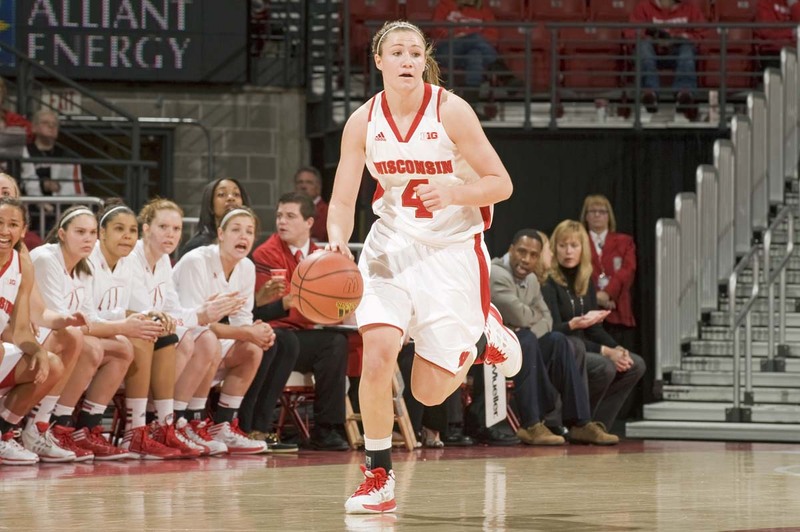 The Wisconsin Badger women’s basketball team snapped a four-game losing streak, knocking off Illinois 73-62 in Big Ten action in Champaign, Ill.
It’s the second Big Ten Conference road victory of the season for the Badgers (8-13, 4-7 Big Ten). The Badgers surpassed their conference win total from the last two seasons and earned one more road win than they had all of last season. The Badgers led by as many as 18 points in the win. Nicole Bauman finished with a game-high 21 points, her third straight game with 20 or more points. 19 of Bauman’s 21 points came in the second half, when she went 5-of-9 from three-point range. 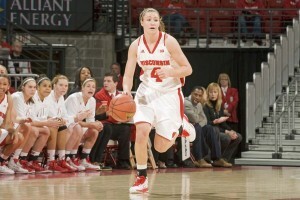 The Badgers also out-rebounded Illinois 50-35. In Milwaukee, the Golden Eagles earned their first Big East Conference win this season as senior Arlesia Moore scored a career high 30 points for Marquette. Moore was a perfect 17-for-17 at the free throw line, which set program records for attempts and makes. Freshman Kenisha Bell added 23 points and first-year head coach Carolyn Kieger earned her first career Big Est win. announcement came at a press conference on Thursday afternoon. Kieger is a native of St. Paul, Minnesota and finished her playing days at Marquette in 2006. She spent the last six seasons as an assistant at the University of Miami after one year as the Golden Eagles’ director of basketball operations. Kieger replaces Terri Mitchell, whose 18-year career came to an end at Marquette when her contract wasn’t renewed. Kieger played for Mitchell, who won 348 games at the school. She becomes the 5th women’s coach in Marquette history. Kieger said she has already reached out to the four incoming freshmen who signed scholarships with Mitchell. How will Marquette play? Kieger said she comes from the ACC where they run and gun. She wants her teams at Marquette to push the tempo and score as many points as possible.